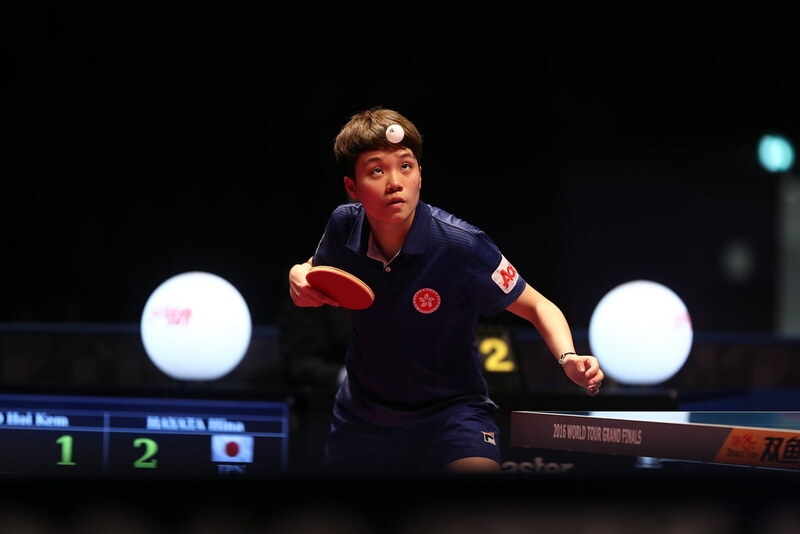 First places not theoretically assured but as play concluded on the evening of the first day of play, Friday 28th July, in the Women’s Singles event at the 2017 ITTF Pan American Cup in San José, the focus of attention was who would gain the all-important runners up spot. Four groups, first and second positons, reserved a last eight place. The first player to achieve the feat was Wu Yue of the United States; having earlier in the day experienced defeat at the hands of Canada’s Zhang Mo, the top seed (11-5, 7-11, 11-8, 11-8), she recovered to beat Colombia’s Angie Umbacia in straight games (11-6, 11-3, 11-4). Zhang Mo duly accounted for Guatemala’s Andrea Estrada to reserve top spot (11-3, 11-7, 11-1). Places in the main draw secured by Zhang Mo and Wu Yue; soon after the Dominican Republic’s Eva Brito and Brazil’s Gui Lin followed suit. Gui Lin, the no.3 seed, who earlier in the day had lost to Eva Brito (11-8, 5-11, 3-11, 11-9, 11-1), beat Costa Rica’s Angie Araya (11-8, 11-3, 11-7) to reserve second place; Eva Brito maintained her unbeaten record, accounting for Puerto Rico’s Melanie Diaz (11-6, 9-11, 11-8, 11-9) to secure first place. Runners up spot and a place in the main draw for Gui Lin; it was the same for Colombia’s Paula Medina. In a hard fought contest, she beat El Salvador’s Estefania Ramirios (11-7, 9-11, 12-10, 15-1) to finish in second place behind Lily Zhang of the United States, the no.2 seed. Impressively, Lily Zhang concluded her initial phase matches unbeaten by accounting for Peru’s Angela Mori (11-3, 11-7, 11-5). Success for Gui Lin and Paula Medina as was anticipated; however, there was an upset as matters concluded. Canada’s Alicia Cote, without a win to her name, beat Chile’s Paulina Vega after saving one match point in a nail-biting fifth and deciding game. It was a game in which she led 7-3, Paulina Vega elected for “Time Out” and reduced the difference in favour of the Canadian to one point at 7-6. At that stage Alicia Cote called “Time Out” but at 10-9 it advantage Paulina Vega; the match point was saved, the next two points went in favour of Alicia Cote. It was success for a very calm 17 year old (11-3, 6-11, 11-6, 9-11, 12-10). The win was too late to secure a main draw place but it was a most satisfactory way for the young Canadian to finish her exploits. Defeat but first place in the group was the eventual outcome for Paulina Vega. Earlier she had caused a major upset by beating Brazil’s Caroline Kumahara, the no.4 seed (11-3, 12-10, 12-10). In her concluding group phase engagement, Caroline Kumahara overcame the Dominican Republic’s Esmeryln Castro (11-3, 11-7, 8-11, 11-7) and thus like Paulina Vega finished the day with two wins. In such instances where two players are level, the match between the two decides; thus it was first place for Paulina Vega with Caroline Kumahara in second spot.